You can not stay without visiting these magical places for their beautiful landscapes and the myths around them. 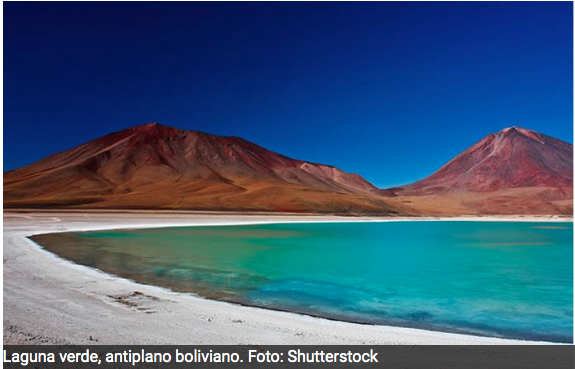 In the geography of Bolivia, there are innumerable lakes and lagoons that have particular characteristics. Many of its lakes are considered sacred, especially by indigenous ethnic groups. 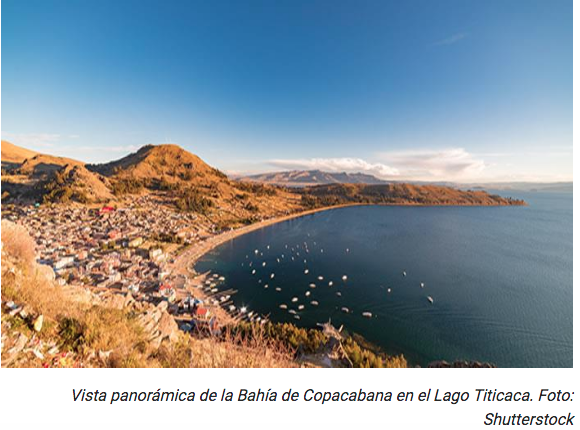 It is the highest navigable lake on the planet, contrasted with the data of its surface, almost 8,600 km², of which 3,790 km² of surface area and 575 km of coastline belong to Bolivia, the rest to Peru. It is comprised into two parts, the greater lake and the smaller lake, separated by the Strait of Tiquina that has a length of 900 meters. This lake is an important tourist place that attracts thousands of foreign and national visitors a year. Although it is the second largest lake in Bolivia, it was on the verge of disappearing in 2015, after an accelerated process of desertification, a news that went around the world. 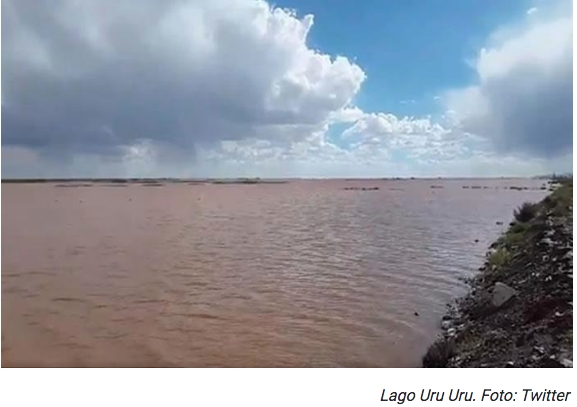 It was saved thanks to the return of the rains that were registered in December 2016 and the first months of 2017, being a fact named as the revival of Lake Poopó by the European Space Agency (ESA). Defined by its 2,400 km² and the always present characteristic height of all the natural relics located in the Bolivian Andean zone, in this case superior to 3,600 m.a.s.l. An Amazon lake that has an area of 330 km², located in the department of Beni, is located near the most important rivers in the country such as Mamoré. Besides being a great reservoir of fresh water, it concentrates a great variety of wildlife and has two small islands located on the east coast. Located in the department of Oruro, it is a tectonic lake with a depth of 3.5 meters that surrounds the Salar de Coipasa. Located at an altitude of 3657 m. The main river that flows into this lake is the Lauca River, from Chile. Bolivian freshwater tropical lake located in the department of Beni. It belongs to the Bolivian Amazon Basin. With its 315 km², it occupies the fourth place in the succession, characterized by the unique biodiversity that gives shape to the entire Bolivian north. An ideal place for hiking, entering practically virgin areas and little frequented by foreign visitors. 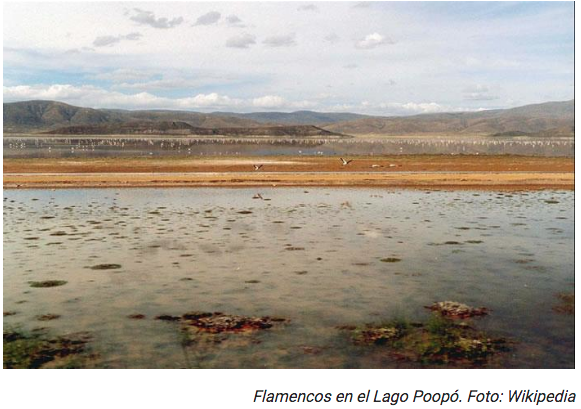 Located in the department of Oruro, formed by the overflow of the Desaguadero River as it enters into Lake Poopó, another of the relationship, and which connects the latter with Lake Titicaca. Characterized by its height, more than 3,600 m.a.s.l., and by its 214 km², it is a huge ecosystem of great tourist attraction and with a large number of fish species.